Many Mac users are confused on how to convert PDF to text for Mac. Fortunately, there is a PDF to text converter for Mac now. What’s it? 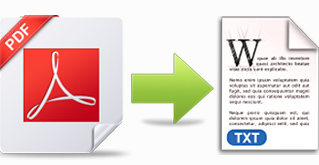 Its name is VeryPDF PDF to Any Converter for Mac, which is designed to help Mac users to convert PDF to text on Mac OS X. 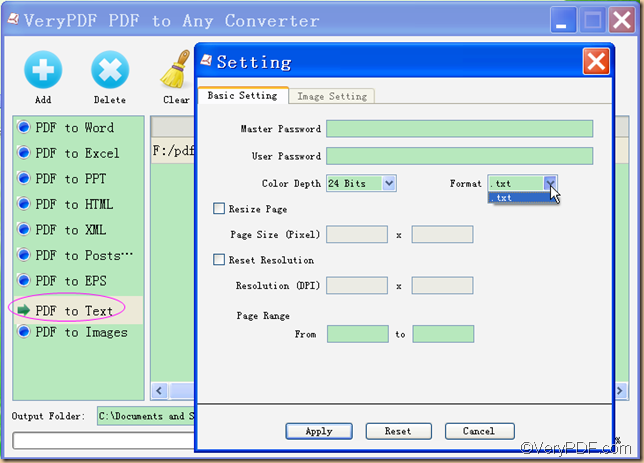 The following tutorial is going to show Mac users how to convert PDF to text for Mac. 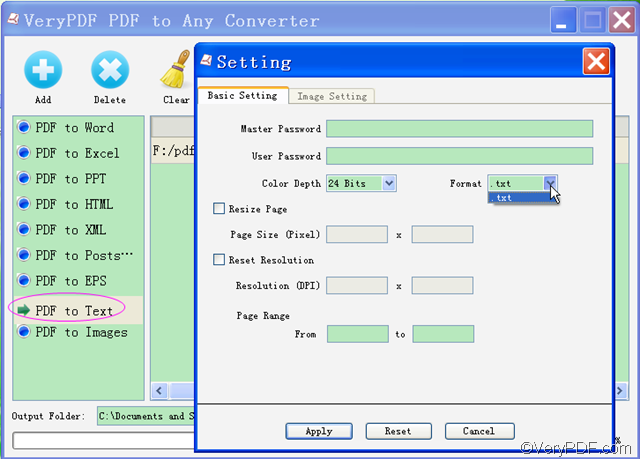 With the tutorial, you can convert PDF to text on Mac OS X at ease. Step1: Download VeryPDF PDF to Any Converter for Mac, install and run it on Mac OS X.
Click [PDF to Text], then click [Setting] to choose the objective format. You can just put the converted text files in the default file folder or click the [Choose] button to customize another file folder. Now, you can press the [Start] button to start to convert PDF to text on Mac OS X. Quite easy, isn’t it? Now you can follow the above tutorial to experience to convert PDF to text on Mac OS X at your will. Of course, as its name suggests, VeryPDF PDF to Any Converter for Mac can also convert PDF to other files formats. For this, you can go to the official website of VeryPDF PDF to Any Converter for Mac. If you want to know more about how to convert PDF to text on Mac OS X, you can directly state your confusions below or write to us via support@verypdf.com, we will try our best to help you out.